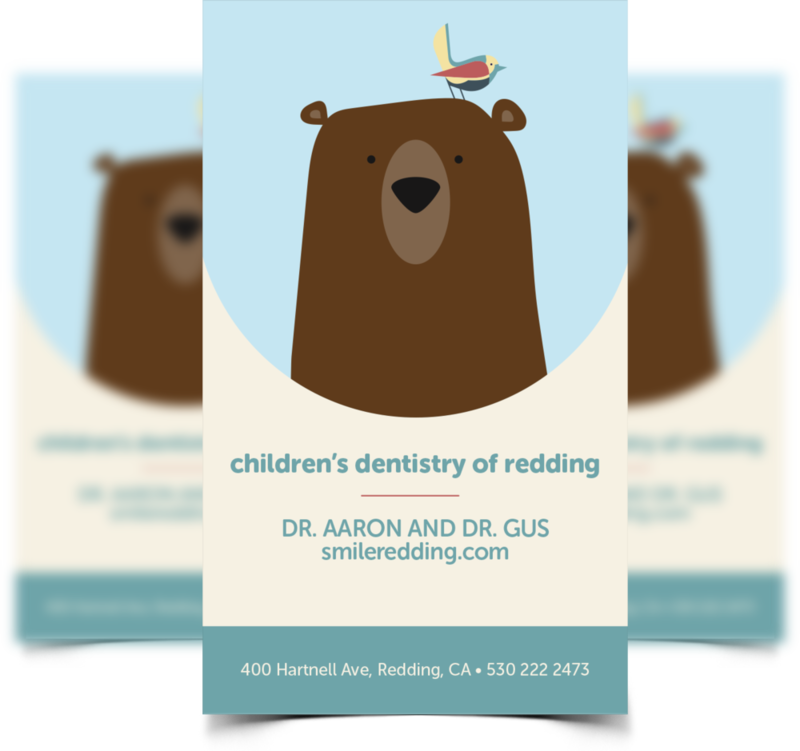 JCI Marketing provides full print services for our clients in Redding and all over the United States. With high ink and paper quality, fast shipping, incredible prices and an amazing graphic design team, it's a stellar idea to contact us. Even in the age of iPads and watches that connect to the internet, we still need to look good on paper, right? Well, we offer very high quality "feel like a champ when you hand it to someone" prints. Save some money. Make some friends. Check with us the next time you need business cards, letterhead, envelopes, banners, signs... Heck. Pretty much anything! We recently printed ourselves some nice Trucker Hats! We also offer envelopes and postcards of all shapes and sizes, mugs, flyers, brochures, pocket folders, window decals... you name it, we can do it, and all but guarantee to be the best price you can find. Subscription Printing - Constantly needing more business cards, flyers, or other stationary? We can help you get the amount you need delivered to you every few weeks or months. Let us know how many and how often you want them, and we'll get you taken care of. One-Time Printing - Need business cards, stationary, flyers, banners or other print material? We can get you some of the best deals around. Let us save you a ton of money while getting you high quality product. There's no need to sacrifice great quality for a great price. Design & Print - Ready for a brand refresh or to expand your stationary? We can design any of your print needs, have them printed, and delivered to you. You've got enough going on. Let us be the one stop for style, class, price, and quality. We'll make you look good. You just keep doing you well. When you've got really nice stationery, people just assume you've got your stuff together. Anxiety about doing business with you drops dramatically. Assumptions about your successfulness and your ability to follow through are made instantly, thus opening the door for you to do what you do best. Reduce or remove the typical concern that people have in dealing with an unknown entity. Present well and look huge. We've done a lot of negotiating and such to be sure we can offer our clients a very high quality product at often shockingly good prices. We have had clients literally save THOUSANDS over the best quote they were able to find online from Vista Print and such. So, if our quality is better, our prices are lower, and you're supporting a bunch of good folk, why go elsewhere? Right. Give us a shout and we'll take care of you. The same level of service that we offer our web design clients is given to someone who orders a box of business cards. We're available to talk, email, or even text about your order at just about all waking hours. Plus, Brad handles most of our print orders. So not only will you receive excellent, rapid response, you'll get to hear a rockin' Aussie accent. We're invested in our clients. We feel pride when someone brags on a brochure that we designed and produced just like we do when someone sees one of our websites and flips out. That feeling of partnership with our clients naturally yields a very personal (and rare) level of attention and importance that we place on each and every print order. If you've read all three of these points, then surely you get it. Having us print up your goodies is a no brainer. We'll do it well, fast, and affordably, mate. In business, it seems like it’s all of the little tasks that take up time and reduce productivity. Ordering office stationary is just another item on that long lists of to-dos. That’s where we come in to make your life easier. Place an order with us for the products you need. Let us know how often you would like the next shipment sent, whether that is every three weeks or every three months. We will keep your order on file and send the next shipment every period. Fill out the print form with what you need, we send you back an invoice and make sure your order is just how you want it. The next thing you know the products will be at your door. Boom. Simple process, Great price, Great product. 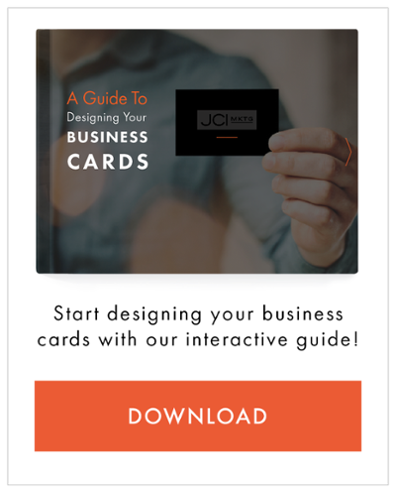 Due to file size limits, please email brad@jcimarketing.com or visit our desktop version of our site. Save some money on great printing. Connect with us below.